Cinema, opened 1935. Destroyed 1944. 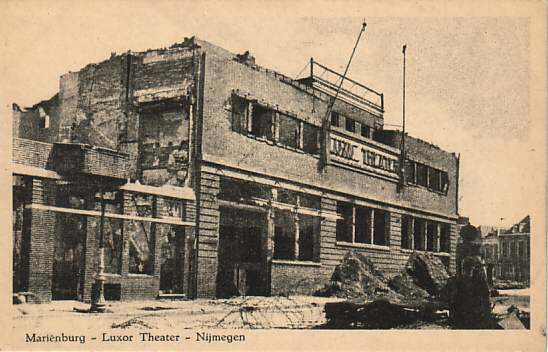 Reverse Text: "Marienburg - Luxor Theater - Nijmegen", sign: "Luxor Theater"